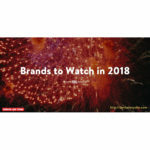 LinkedIn Top Companies 2018 list, published just a couple of weeks ago, includes the companies that we all expect (#6 Apple and #46 Starbucks); but it also features some surprising ones, including Uber (#12), Dell (#17), and PwC (#25). 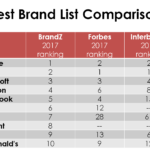 So I conducted an analysis to see if there are any commonalities among the list of top employers and what I found surprised me. Several of the 50 companies have been plagued with controversy (#2 Google/Alphabet and the #39 NFL), others lack broad brand awareness (have you heard of #37 Citadel or #38 Kering? ), and still others seem kinda boring (I’m not going to name names on this one). So I shouldn’t have been so quick to try to predict which companies found their way to the top of the list. People want to work for employers that are primarily technology plays. 29 of the top 50 companies are centered on tech. To qualify a technology play, I determined whether or not the company and its products or services seemed to be driven by technology, as I deemed to be the case at Tesla and Stryker; but I excluded companies like Abbott and EY even though their use of technology is unquestionable. You might disagree with some of my classifications, but the desirability of tech companies can’t be disputed. B2C companies are more in demand than are B2B. 34 of the top 50 sell direct to consumers in some capacity. This result is not surprising, given that the methodology to create the list favors large enterprises and many B2B companies are small businesses. But according to an analysis by Trellis, US B2B eCommerce is estimated to be a $780 billion market compared to the $350 billion B2C market. So in that sector alone, there is more business in B2B and therefore it would seem there would be more employment opportunities. 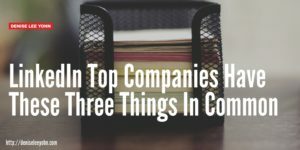 But perhaps B2B employers as a group are being dragged down by the four out of the top 10 B2B companies in the U.S. that are oil companies (ExxonMobil, Chevron, Phillipps 66, and Valero Energy Corp.), which don’t seem to be attractive employers today. Nearly all (47 of the 50) top companies are U.S.-based. Again this reflects the LinkedIn base of individual and company users, but I’m surprised at the overwhelming popularity of U.S. employers. According to Omnicore, 133 million of LinkedIn’s 500 million users (27%) are U.S.-based — so the top companies list suggests that a large portion of the remaining 3/4ths of LinkedIn users are attracted to U.S.-based employers. Friends recommend one of the top 50 companies a median amount of 76% of the time, and the median approval rating for CEOs across all 50 companies is 89% — by Louis Columbus. Thrillist reported that 30% of companies on the list appear for the first time this year including including Spotify and Live Nation Entertainment. And, LinkedIn’s Daniel Roth says the top employers offer the ability to work on industry-leading projects, are committed to build a diverse workforce, and are rethinking employee healthcare. What do you think of the LinkedIn’s Top Companies 2018 list? Please share your comments and questions.